Much of the work that VIP To Go does involves the fancy porta potty rental for events, such as weddings and large parties. However, despite our success in the short term rental arena, at VIP To Go we actually consider ourselves a long term rental company. 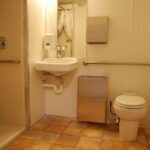 That is, our biggest desire is to help you with your long term rentals, whether you need a toilet trailer to provide employees a restroom facility during outdoor construction, a replacement for a customer bathroom that is under renovation, or a bank of restrooms to help people in a disaster zone. Whatever your needs, VIP To Go’s goal is to be the premier provider of long term Restroom Trailer rentals and shower trailers, both fancy porta potty rental units and basic units. At VIP To Go we know that disasters do not follow any schedule or do things when it is convenient for humanity. By nature, a disaster is something that strikes, without warning, and causes devastation. At VIP To Go we know that disaster planning can aid recovery, but all the planning in the world can’t change the fact that disasters destroy lives. That is why VIP To Go prides itself on mobilizing quickly to get clean, sanitary facilities where you need them, quickly, when disaster does strike. When you contract with VIP To Go you can feel confident that your response teams will have the restrooms and showers that they need, as will the displaced people who need these services. And this is true day and night; we don’t wait until it is convenient to get you the trailers that you need. We know that the initial disaster management can take days, even weeks, simply to get things under control and to save lives. During this time VIP To Go takes the pressure of providing responders and survivors with sanitary restrooms off your shoulders, letting you deal with other aspects of the emergency situation. We also know that recovery doesn’t happen overnight. We realize that when disaster strikes you may need to use our restroom trailers for weeks, months, or even years, as FEMA has had to after recent hurricane disasters. At VIP To Go long term restroom trailer rentals are our business, whether simple or fancy porta potty rental. You can keep and use the trailer as long as you need to, until systems – and lives – are restored. We will continue to work with you on maintenance, changing out trailers if they become too old or worn, maintaining the trailers, moving them to new areas and so forth. When you contract with VIP To Go you know that if emergency strikes, VIP To Go will be ready to get you the facilities that you need, anywhere in the nation, quickly and efficiently. You can spend your time on more important matters rather than trying to find a restroom trailer rental company. VIP To Go makes your national planning easy by giving your company or organization the same price, whether you need a trailer in New Jersey or Colorado, or anywhere in the country. VIP To Go takes the stress off your shoulders, as we deliver, set-up, maintain and pick-up the trailers with no work required on your end. You don’t even have to be there for drop off or pick-up. And if you wonder how much do bathroom trailers cost, know that we factor all costs into one easy price – no hidden fees ever! Call VIP To Go to get the information that you need to begin an emergency contract with us today. Whether fancy porta potty rental units or basic, we have what you need when you need it. 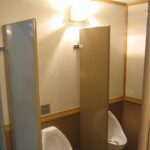 3 Reasons why when it comes to restroom trailers NY is lucky to have VIP To Go, a company based in NY who understands the entire state’s unique needs. From farmer’s markets to craft fairs, trailer porta potties keep customers and vendors comfortable and more likely to stay longer and promote success.